HMCS Halifax Spent the weekend secured to 4 mooring trot buoys in the North end of the Basin this weekend, Likely undergoing system and sensor tests. The Fleet Diving Unit appeared to be in Attendance, and a barge is alongside acting as a wharf for smaller vessels. She Departed this morning for sea. 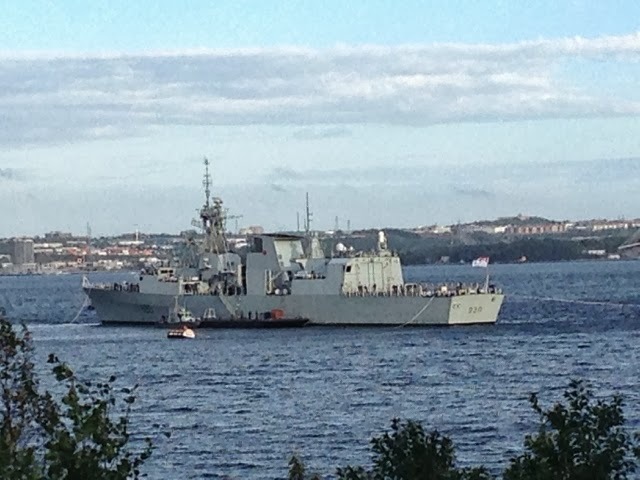 This entry was posted in FELEX, hmcs halifax, Navy on September 23, 2013 by Peter Ziobrowski.